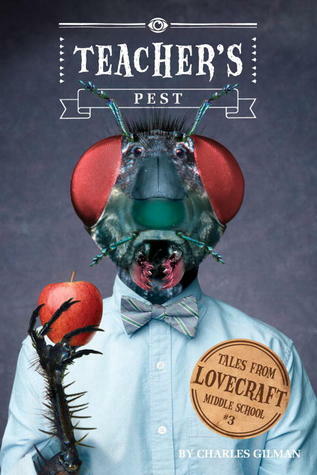 The third book in the Tales from Lovecraft Middle School, Teacher’s Pest features alternate dimensions, portals, a ghostly friend and a two-headed pet, and a ton of creepy crawlies on top. The school seems to be overridden with bugs lately. The teachers say it’s because the janitors are on a strike – but Robert knows there is more to the pest than meets the eye. Together with his friends he sets out to stop a crazy scientist from overthrowing humanity. 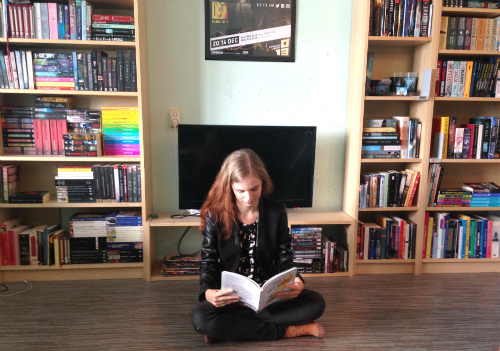 The Tales from Lovecraft Middle School are extremely fast reads. It takes me about an hour, maybe two to finish one of them. The writing style is very clear and easy to follow, and I think these books would be great for kids that have difficulty reading. They have a nice clear-cut science-fiction/horror kind of plot. All of the books follow a self-contained story, but now the series is starting to span more books the over-arcing plot line is starting to show too. I love following the progress of both the plot and the characters throughout the books. Things are getting more and more interesting, and I’m quite looking forward to the next instalment, Substitute Creature. The other side of the coin is that the first few chapters of Teacher’s Pest still felt a bit choppy. It takes a while for the central plot line to kick in, but once it does the book is great. I do see improvement in writing throughout the books, but there is still just that little bit to be done until these books will turn from good to awesome for me. A fair warning: Teacher’s Pest is not for the squeamish or insect-o-fobes. Remember the scene in Fellowship of the Ring where the hobbits hide under a tree and the insects are crawling all over them? Well, there is a lot of that. I personally hate everything with more than four legs, so I shuddered quite a lot during Teacher’s Pest.